Each quarter Thebeerchaser recognizes an individual or group that in his opinion has made a contribution to humanity. Said “honoree” may or may not have anything to do with beer or bars other than enjoying an occasional microbrew (or PBR) in a favorite watering hole. 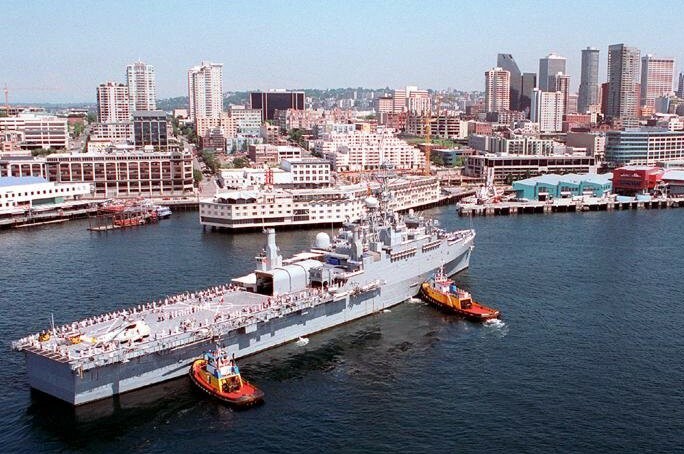 Captain Rick Williams stood on the bridge of the Third Fleet Command Ship USS CORONADO on a sunny day in June, 1997, as she steamed up the Willamette with four other Navy ships for the Portland Rose Festival. 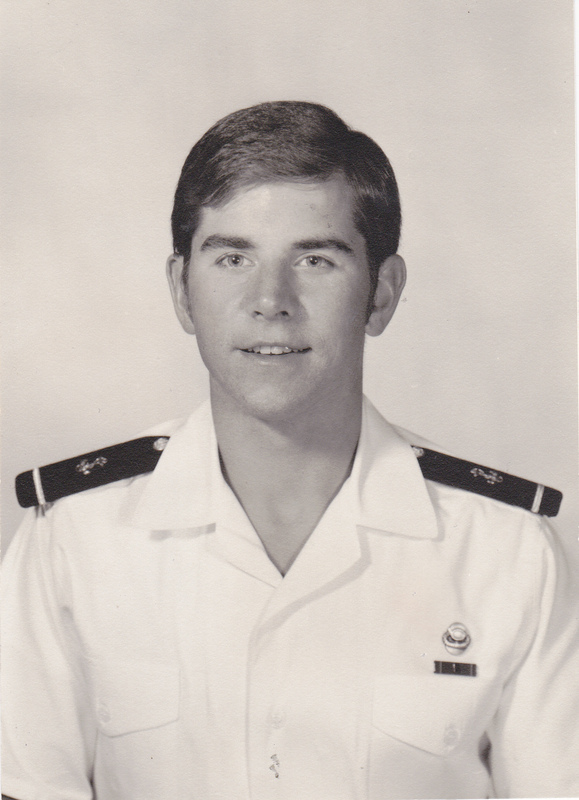 Rick thought about his time spent in Corvallis as a Class of 1974 OSU NROTC Midshipman – where he graduated with a degree in Construction Engineering Management in June 1975 – and the mentors who had guided him along the way. OSU was where he was commissioned by Captain Chuck Dimon, his Professor of Naval Science, and sent to his first sea tour. 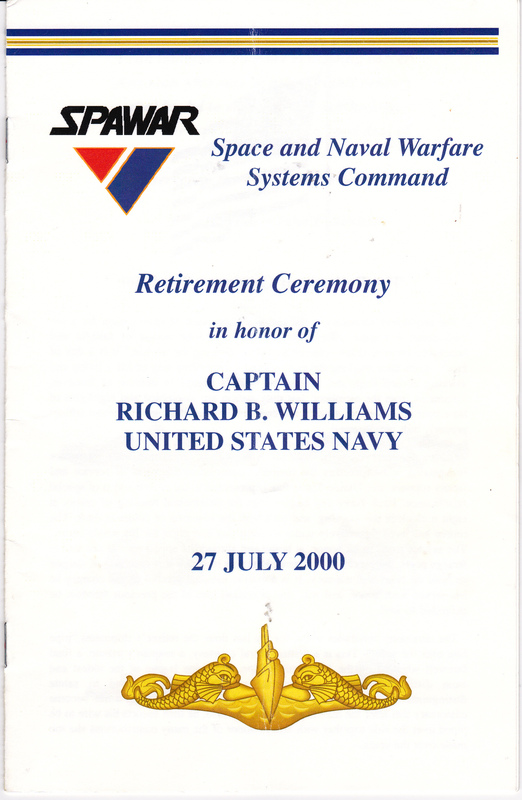 Fast forward to July 2000 — Rick was at his change of command and retirement ceremony at Submarine Base – Point Loma, where the same Captain Chuck Dimon granted him permission to come ashore after 25 years, including 21 years of continuous sea duty and 17 cross-country moves. Although an additional tour at the Pentagon carried the potential of Flag rank, he and his wife, Mary Jean, agreed that their two young boys deserved some stability rather than being uprooted every few years. 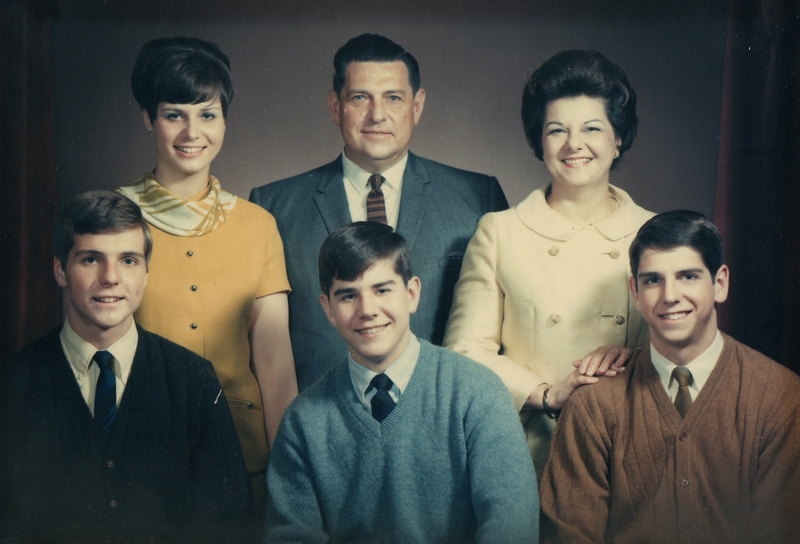 So Rick retired and his family took root on several acres in rural Redland, near Oregon City where he graduated from high school. Since retirement, Rick has worked at Tektronix for three years, and now Leidos, a defense contractor for over 12 years. He consulted as Chief Technology Officer of Oregon Iron Works, helped industry and Oregon State University develop wave energy and continues to work with the military on wave energy test centers. In 2014, the Oregon Wave Energy Trust renamed its annual Ocean Energy Leadership Award in his honor. He was the inaugural recipient of the award in 2012. 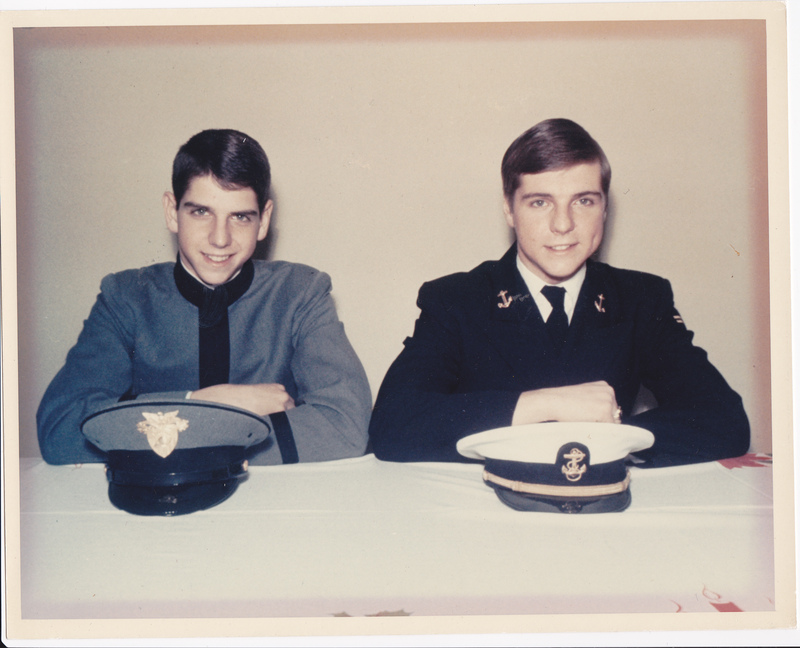 Rick’s NROTC scholarship and future Navy career may have been preordained because of the family military roots of his two older brothers. 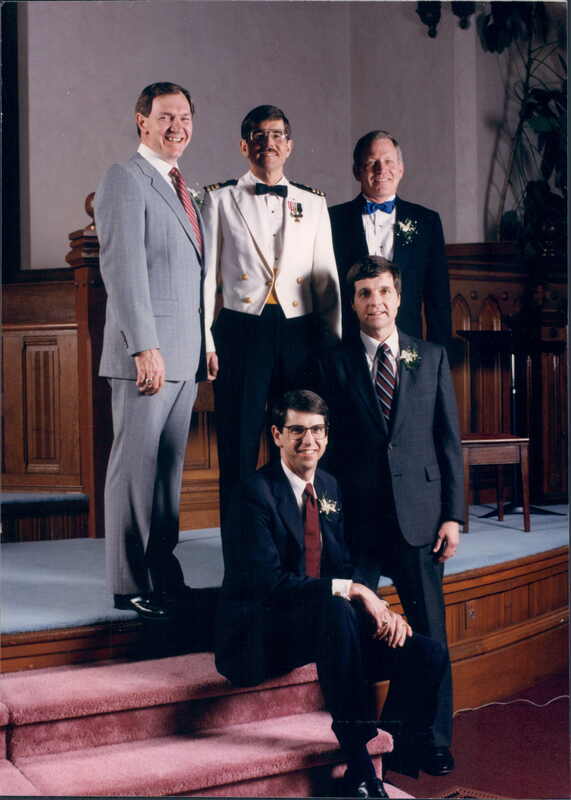 Don, in the OSU Class of 1970, received his commission as a surface line officer, while his brother Garry, US Military Academy at West Point Class of 1972, served as an Armored Cavalry officer. 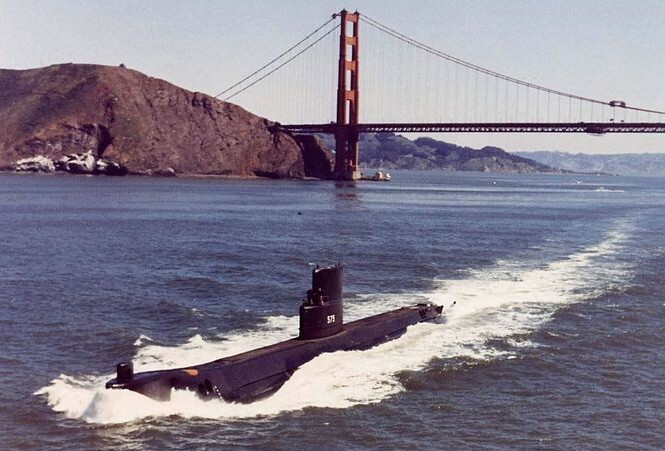 His brother-in-law, Dave Booher, also served as a sonarman on two Fleet Ballistic Missile Submarines for five nuclear deterrent patrols and was aboard the diesel boat USS Dogfish (which is older than the Beerchaser, having been launched in 1944) before he left the Navy. 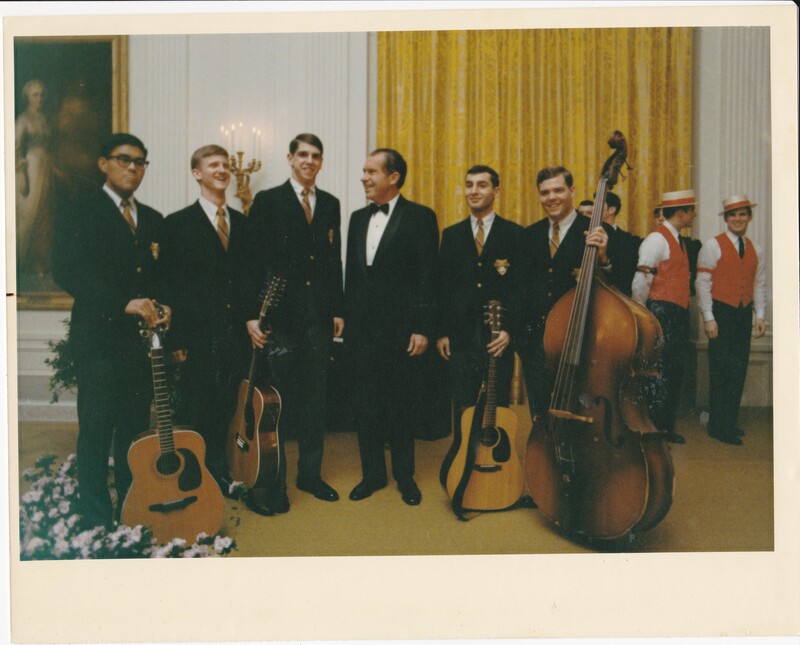 Dave’s naval service was not significant except by his own admission, “I saved Democracy from the USSR during the Cold War…..” It should be noted that he also redefined the meaning of the term, “Lost the Bubble,” while serving on those patrols. Indeed, Thanksgiving holidays at the Williams’ household would see the loser of the Army vs. Navy game bet make payment on the outcome. 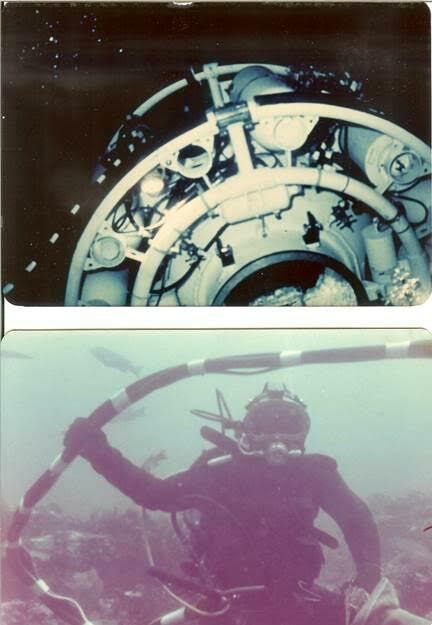 Rick’s career would be viewed by most Navy detailers as an anomaly, or… ”No, you can’t do that…!” His motivation evolved from his 2nd Class (sophomore) Midshipman tour of Submarine Base – Point Loma in 1972, where he learned of the Navy’s Sea Lab and Deep Submergence Systems Project. 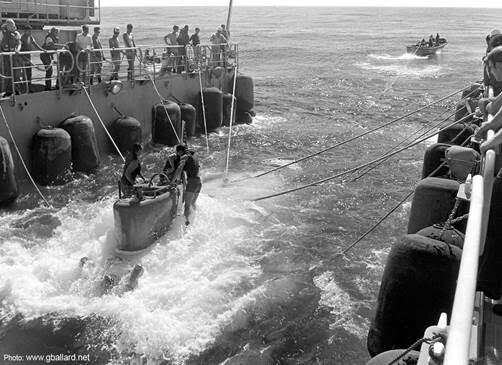 That inspired a year’s leave of absence from NROTC to study ocean engineering at OSU in 1973, Navy scuba diver qualification as a 1st Class Midshipman and summer cruise on a salvage ship in 1974. Note: While Rick was a whiz at math and science, his comprehension of world geography was lacking. While on this 1/C cruise and in port in Singapore, he awoke me with a phone call at 3 AM. He wanted to borrow $50 for what he characterized as “an investment in the future” – to buy a watch. Although he maintains that he paid it back (…and he did give me the watch as a gift), it is still carried as an Accounts Receivable on Thebeerchaser’s personal balance sheet (… just to keep messing with him for the 3am phone call). 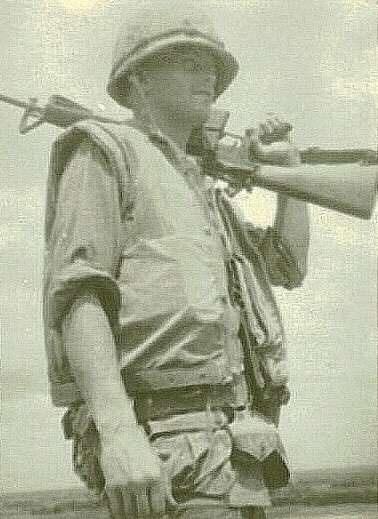 After graduation and commissioning in 1975, he was off to Naval School Diving and Salvage as a “hardhat” diver, followed by Surface Warfare School. In his first sea tour on the Navy’s newest ocean engineering platform, submarine rescue ship USS PIGEON (ASR 21), he served as Communications Officer, Damage Control Assistant, Acting Engineer, and Operations Officer, and qualified as a Deep Sea (HeO2) Diving Officer and Surface Warfare Officer . 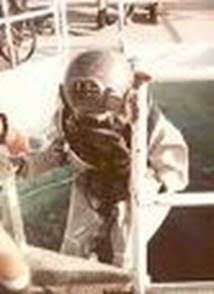 During this tour, he attended Naval School Deep Diving Systems for saturation diving training as a Navy Aquanaut. 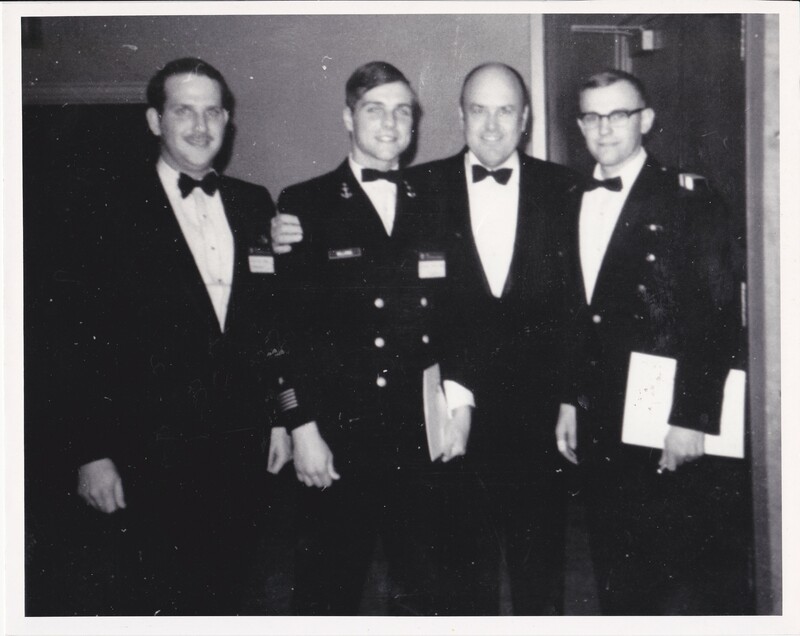 At the graduation, where he was elected class honor man, he met Submarine Development Group One Commodore Chuck Larson, who became a four-star Admiral as Commander-in-Chief, Pacific (CINCPAC) and then Commandant of the Naval Academy. Larson urged him to go into submarines. He had to volunteer for nuclear power to get to submarines, however, Rick wanted to become a Navy Hydronaut and command a deep submergence vehicle. So, the Commodore’s plan was for Rick to “flunk” the interview with Admiral Hyman Rickover, go to sub school, and stay in SubDevGru One. 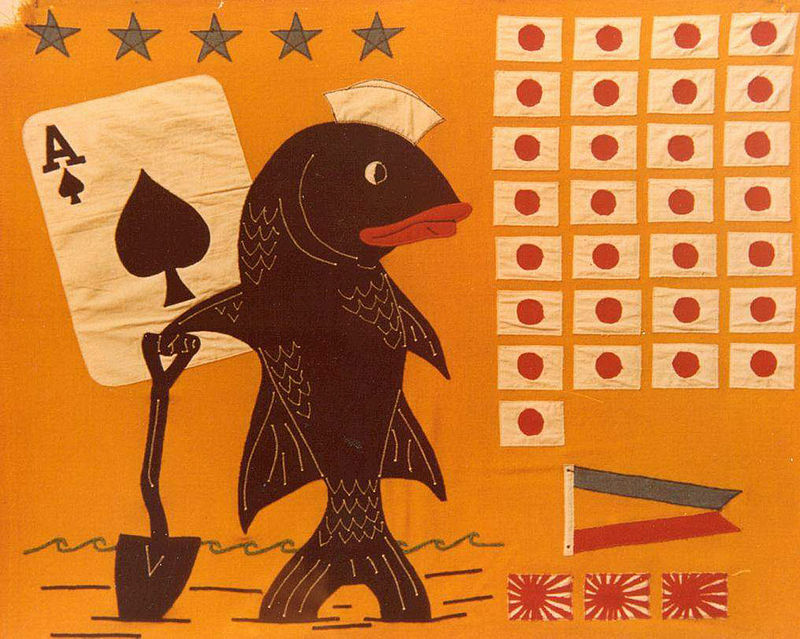 But, after an unusual interview and an unplanned outcome (the Admiral selected him), it was off to Nuclear Power School in Orlando where he was again class honor man, then Nuclear Prototype Training in Idaho and Submarine Warfare School in Groton. 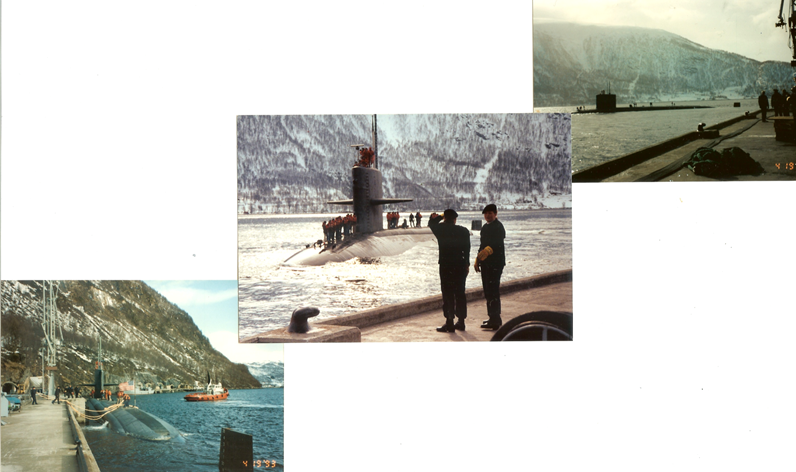 He served two deployments on the USS SEAWOLF (SSN 575) – the oldest operational fast-attack sub in the world. Rick qualified in Submarines and as a Nuclear Propulsion Engineer. 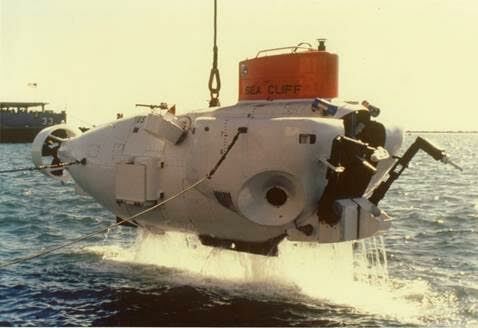 After this five-year detour, he took command of the Deep Submergence Vehicle SEA CLIFF (DSV 4), an “inner space ship” built for deep ocean recovery with a crew of fourteen special projects submariners including three officers. Rick served almost 3 years during the SEA CLIFF’s conversion from a 6,500 feet steel-sphere and aluminum frame vehicle, to titanium rated for 20,000 feet – an extraordinary and accelerated nine-month project – and the deep ocean operations that followed. He then served as Engineer on the newest Trident Ballistic Missile Submarine USS ALABAMA (SSBN 731 Gold Crew) during four strategic deterrent patrols, as Executive Officer on the USS CAVALLA (SSN 684) and on the USS OLYMPIA (SSN 717). 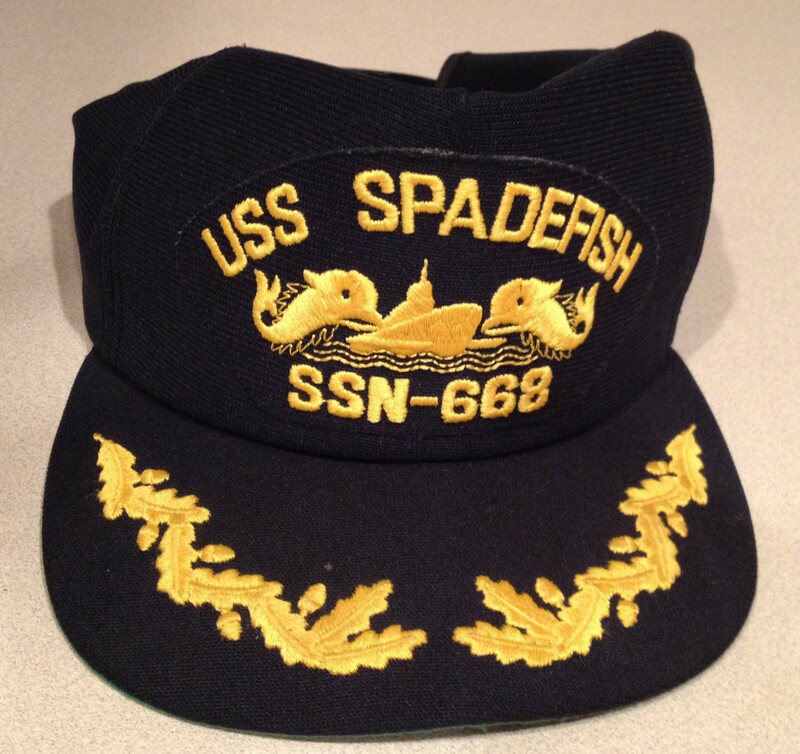 After graduation from the Command Course, Rick became CO or skipper of the USS SPADEFISH (SSN 668). Note: Knowing what I knew about my youngest brother’s college escapades, this promotion made me acutely aware that this same kid now had responsibility for a nuclear reactor. His final fleet billet was Third Fleet Submarine Warfare Officer, embarked on the USS CORONADO in San Diego. So what were the highlights of this amazing military career? Rickover Interview in ‘79 – While Rick would not describe it as a “highlight,” one of the most memorable incidents was his interview with the irascible Admiral Hyman Rickover, known as the Father of the Nuclear Navy, who served for 63 years. 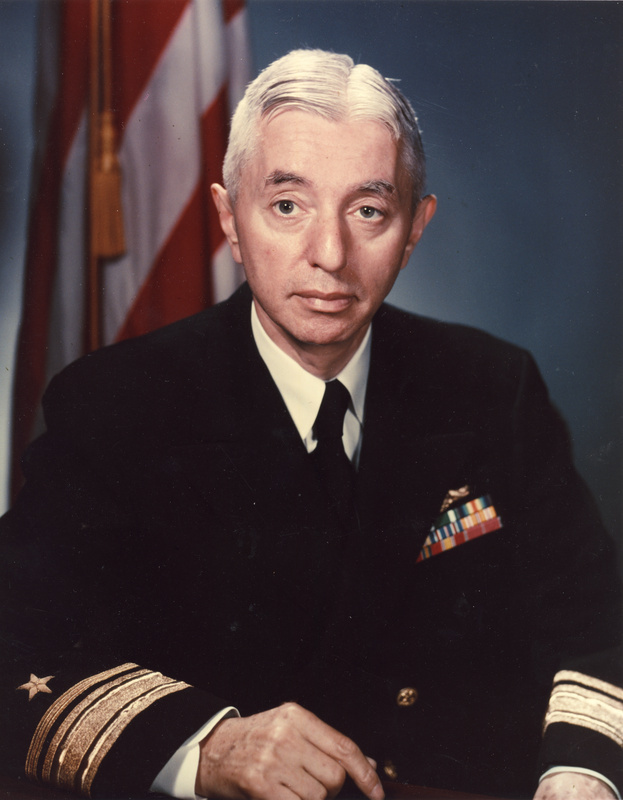 Admiral Hyman Rickover – Father of the Nuclear Navy. “The Admiral sat behind a large gray, dented, desk (“LGDD” in Navy terms). He started by berating me for being an athlete in college (Rick was Captain of the OSU Ski Racing Team) and then castigated me for dropping a typing class at OSU. He was critical of my Navy career path and did not want “late” entries to his Program. The 5-minute interview ended with the Admiral screaming at his Executive Assistant and yelling at Rick, “Get out of here!” Rick was extremely surprised that Rickover selected him for the Program. Note: Thebeerchaser thinks that most men would be crotchety if they had to go through life with the first name “Hyman.” He was probably making up for the abuse he took from schoolmates on the playground…..
DSV SEA CLIFF Dives in ’84-85 – After post-conversion sea trials to 15,000 feet, SEA CLIFF successfully recovered the downed CH-53E helicopter — a crash that had the Rapid Deployment Force grounded around the globe — in a six-month effort off the Pacific Coast. Rick and his crew then completed other deep ocean operations and SEA CLIFF’s initial dive to 20,000 feet in the Middle American Trench off Guatemala. The “squashed cup” you see in the picture was a full size coffee cup tied to a line outside the vehicle and shows the effects of the pressure at 20K. Press coverage of record dive. 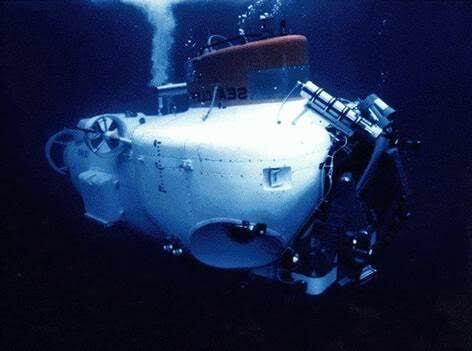 One thought-provoking moment occurred at 19,700 feet under water when the SEA CLIFF’s high pressure air gauge, which was supposed to register 3,000 psi, pegged off-scale. In spite of the “sea water intrusion event” (or flooding of the high pressure air system) and after verifying depth control, the crew successfully completed the test dive. 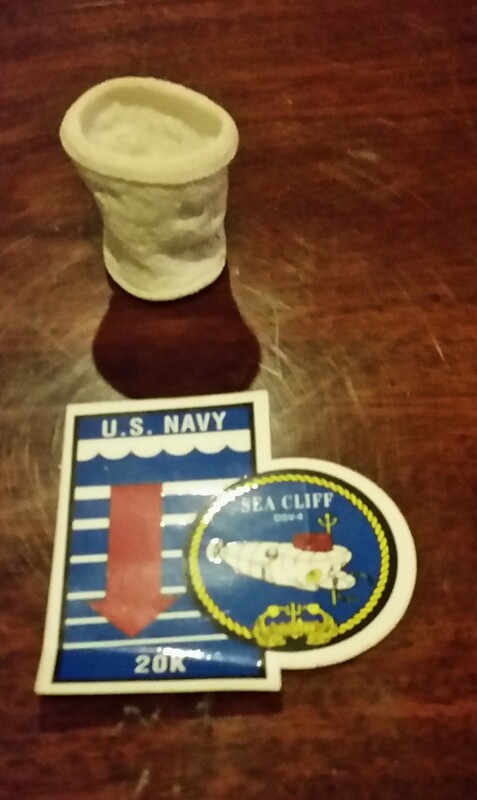 As a result of the 20K dive, SEA CLIFF was designated by the Secretary of the Navy as America’s Flagship for America’s Year of the Ocean and Rick was elected as a Fellow in the prestigious Explorers Club, the international society which is headquartered in New York City. 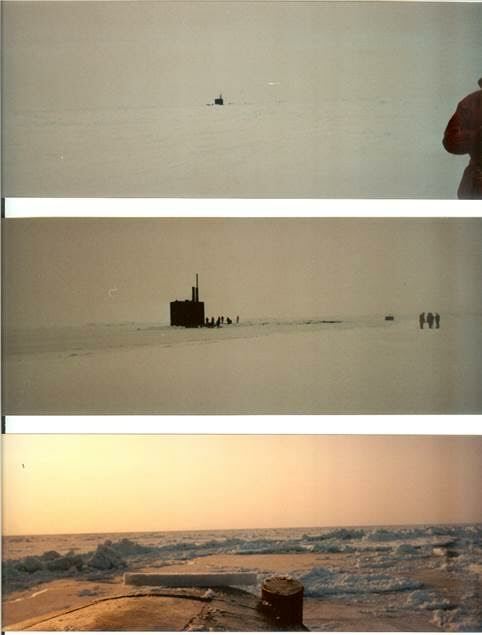 USS SPADEFISH Adventures in ’92-93 – Rick led two under-ice expeditions to the North Pole during his command of SPADEFISH. She surfaced through the ice “about a dozen times” and visited Tromso, Norway. The trips were also “Freedom of Navigation Exercises” to assert US rights of passage in international waters — as the Russians were trying to assert territorial rights in the Arctic Ocean – a situation which is still a critical defense issue today. SPADEFISH was the Squadron Six Tactical Top Performer in 1994. 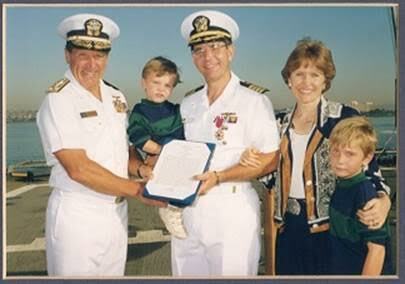 Third Fleet in ’94-98 – While on sea duty, Rick earned his MBA at San Diego State. His thesis project led to the reorganization of Third Fleet as a Sea Based Joint Task Force and he became Assistant Chief of Staff for Command and Control. He was led the design team and was the Fleet Manager for the conversion of the flagship into the prototype Joint Command Ship of the Future and created the Sea Based Battle Laboratory to accelerate capabilities into the Fleet. 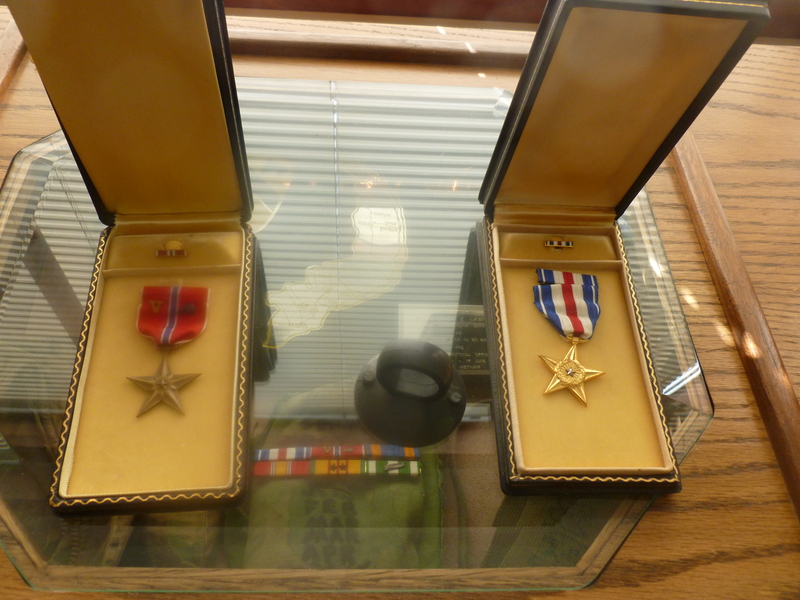 This led to one of his Legion of Merit awards. Rick was selected as an Acquisition Professional. 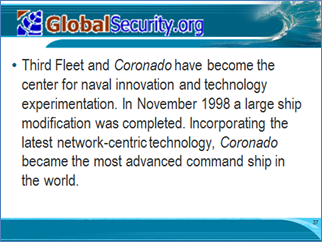 His next tour was at Space and Naval Warfare Systems Command as Deputy Director, Advanced Concepts, working on Fleet Battle Experiments. 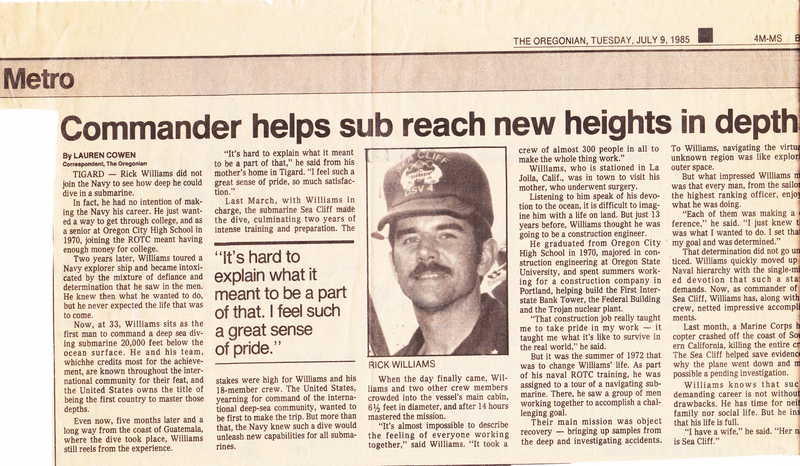 From a naïve 4th Class Midshipman taking naval history courses in the NROTC Quonset hut and participating in weekly drills, Rick Williams fully utilized the knowledge and skills he acquired at OSU and in numerous Navy schools. He rose through the ranks to Captain with two Legions of Merit in a diverse Navy career and post retirement work as a consultant. he still wonders, however, why Admiral Rickover chewed him out over dropping a typing class…!